Join our prestigious list of leaders. 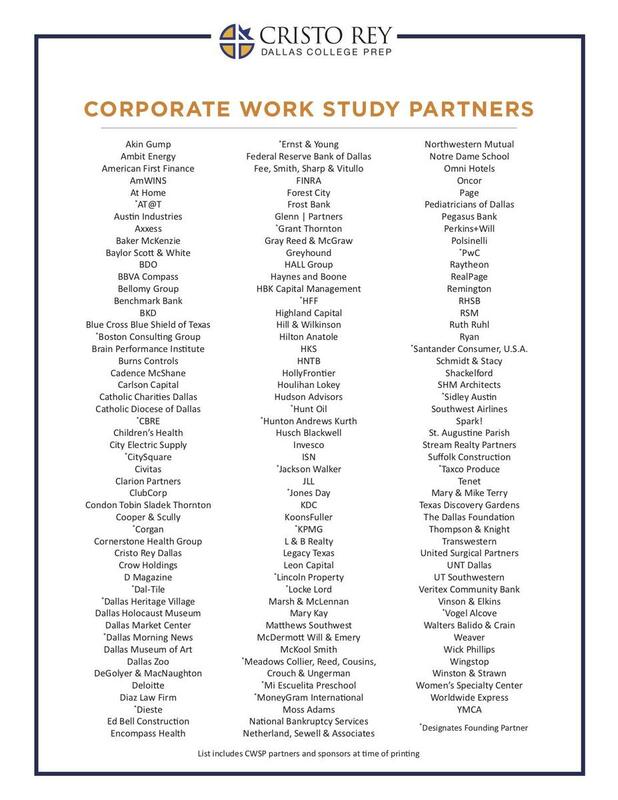 Cristo Rey Dallas is sustainable because of revenue from the Corporate Work Study Program. We are grateful for our partners and invite you to join this prestigious list of businesses and organizations. Contact Kelby Woodard, President of Cristo Rey Dallas, to learn more about the benefits to your company and our city.